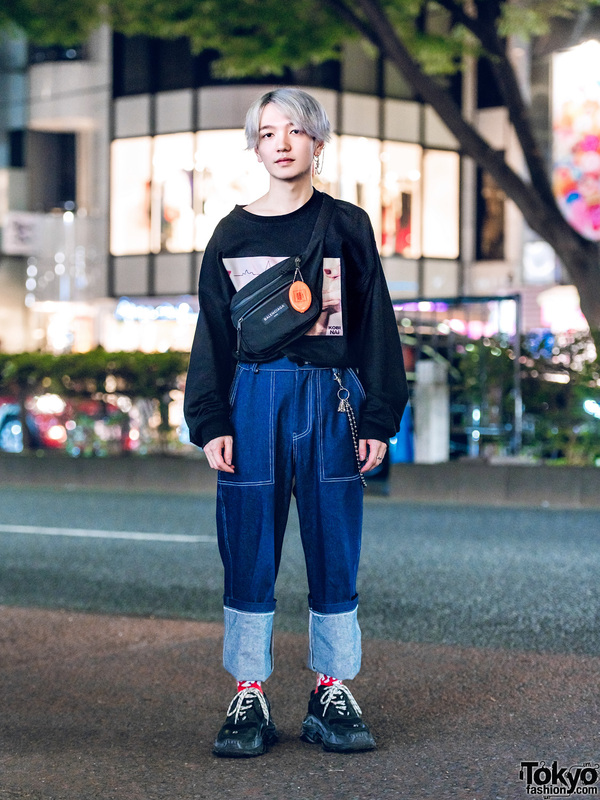 Hair stylist in casual streetwear while out in Harajuku. 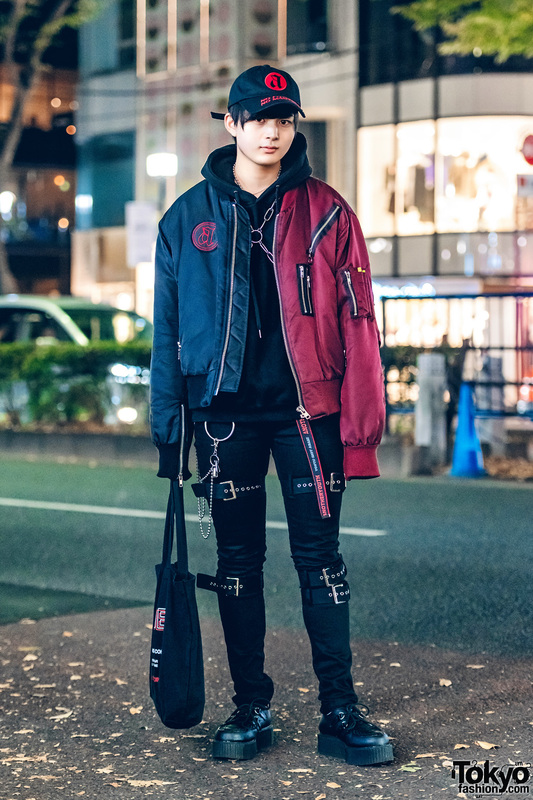 Japanese student showcasing edgy streetwear style with a vintage shawl and platform boots in Harajuku. 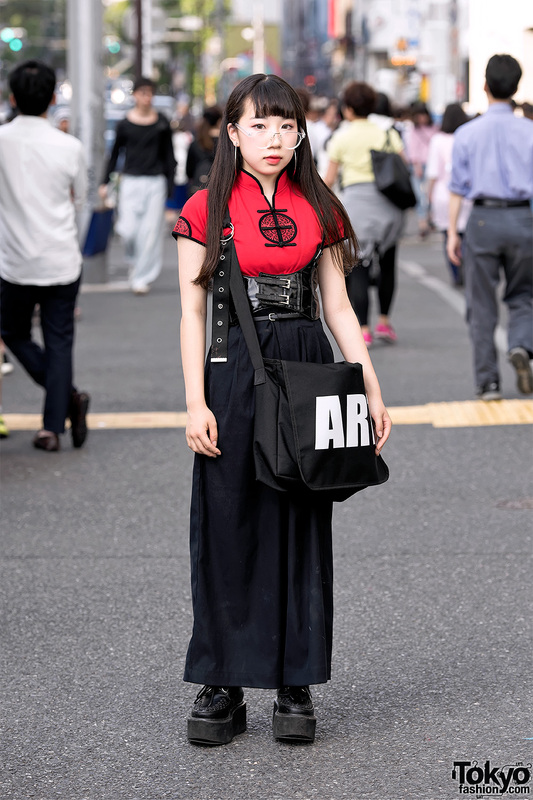 Harajuku girl in black and red street style with button-up shirt, leather skirt, platform creepers, and tote bag. 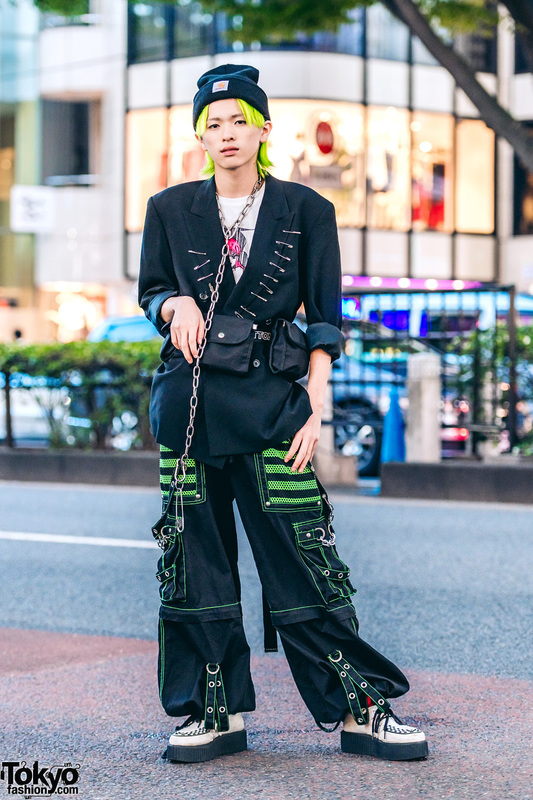 Japanese high school student wearing a red Chinese style top with vintage wide leg pants, glasses, a corset belt, and platform creepers. Harajuku apparel staff in Japanese and Korean streetwear w/ white shirt, black zipper pants, buckle boots, sling bag, grommet belt, knit cap and silver jewelry. Harajuku student in black fashion w/ cropped top with cut out shoulders, cuffed shorts, fishnet stockings, knee high socks, platform creepers and accessories. 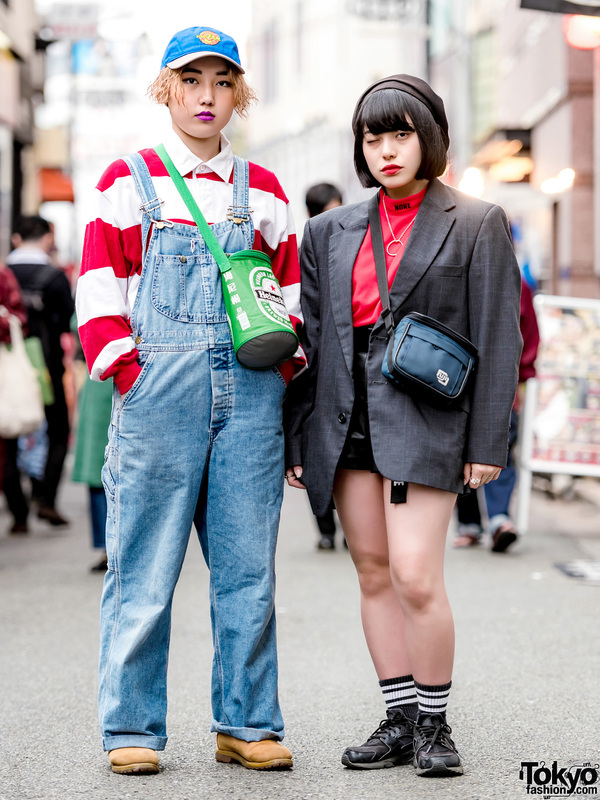 Harajuku girls in black street fashion styles with skinny jeans, shirts and jackets, platform creepers and pointed ankle boots, oversized bag and tote bag.